Erin is an art consultant with over 15 years of experience representing emerging and established artists in all mediums. Prior to moving to Colorado in 2011, Erin grew the Art Registry into one of the most recognized art consulting businesses in the D.C. metro area. She received her Masters Degree in Modern Art, Connoisseurship and the History of the Art Market from Christie’s Education in 2002. Erin served on the Board of the Washington Project for the Arts (2004–2011). During her tenure at the WPA, she held various positions including Chairman and Auction Coordinator for the annual Art Auction and Gala. 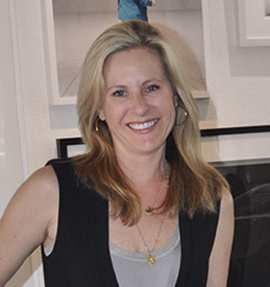 Her passion is matching contemporary artists with collectors looking to enjoy the benefits of an art filled home and life. Erin is an art consultant with over 15 years of experience representing emerging and established artists in all mediums. © The Art Registry LLC 2016.